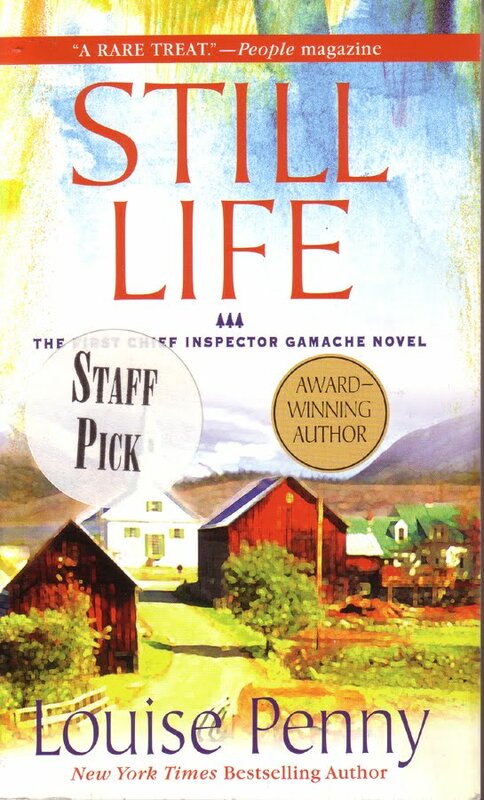 I told a clerk at The Mysterious Bookshop that I like Dorothy Sayers, and he recommended this atrocity, Still Life, by Louise Penny, which is funny because the writer is obviously indebted to Barbara Pym, whom I also love. But I guess it’s one of those “so close yet so far” situations. The real mystery is how books this badly written sell. The author has won all sorts of awards, published a dozen in this series, and obviously has fans. How? How does anyone stand it? But wow. This thing was in simply the worst school of superfluous, overly dramatic, inane prose. It’s the kind of book where it takes the characters a page and a half to decide to reconvene at a diner in 5 minutes, and the decision isn’t important, the diner isn’t important, it’s all just verbal garbage. Or, a character blushes then experiences 5 more emotions while searching her apartment for her mislaid wallet, which also doesn’t matter. There’s something wrong with every sentence in the book. Really? Can anyone imagine, actually, that upon the death of a close friend, the bereaved person’s primary feeling would be the need to call the friend to tell them the big news? Also, drained, stunned, overwhelming, inconceivable. The writer is trying to tell us something instead of show us something about her character’s inner state. And do you like that pileup of two “what had happened”s in a row? Do those two awesome cliche metaphors help in creating a mental picture of how the roads intersect the town common? Nope? And of course it’s completely irrelevant how many roads there are, or what direction they go in. Got that? A noise like the crack of doom, that bothered no one else in the cafe, that the inspector didn’t understand the source of, though was then in the next sentence able to describe just how it was made. And does that description of how she did it, complete with caveman cliche, make any sense? I am mad that I spent my money on this. Thanks for your candid online review. I picked this up at the suggestion of a friend and, being Canadian, was curious about a series set in Quebec. While I didn’t dislike it as strongly as you I definitely found it lacking. It doesn’t feel like an adult novel but I am not sure who the targeted audience is. The characters need to be better flushed out rather than caricatures of themselves like Miss Mustard and Major Peacock from the game Clue. Also the ending is really weak as is motive and culprit. Glad someone else found it lacking, too. I don’t know about good Canadian mysteries but the Dorothy Sayers/ Lord Peter Wimsey mysteries are my favorite of all time, if you’ve never tried those. You must have tolerance for Upper Class English People, though.